Wishing all of our friends and families a Shana Tovah – a year filled with health and happiness. With close to 600 people gathered at the Machane this past Sunday for Visitors’ Day and the Hachnasat Sefer Torah, which was a wonderful tribute to Rabbi Moshe Kushner z”l and all that he stood for. Beginning with the writing of the Sefer Torah last summer at the Machane and all of the learning that was done, through singing and dancing and the creation of the Chuppah that was used to dance the new Sefer Torah into the Beit Knesset . All of these will serve as a lasting impressions on the chanichim for a lifetime. Check out this new video by the Maccabeats and get excited for Slow Shira at CAMP!! 75th Anniversary Dinner – A Huge Success! Last nights event was a huge success as 250 people gathered to celebrate Moshava’s 75th anniversary. The program began with mifkad and included a special acknowledgement of our 3 and 4 generation families, and the honoring of Rabbi Burton Wax, Ora Aaron and Ilana Aaron and paying tribute to the legacy of Rabbi Moshe Kushner z”l. Save the Date: Moshava 75th reunion!!!  Since 1939, Camp Moshava of Wild Rose, WI has been involved in providing the Bnei Akiva camping experience. The faces in camp always change, but that’s not necessarily true of our families. Some campers are third generation in Moshava. And some, even fourth!